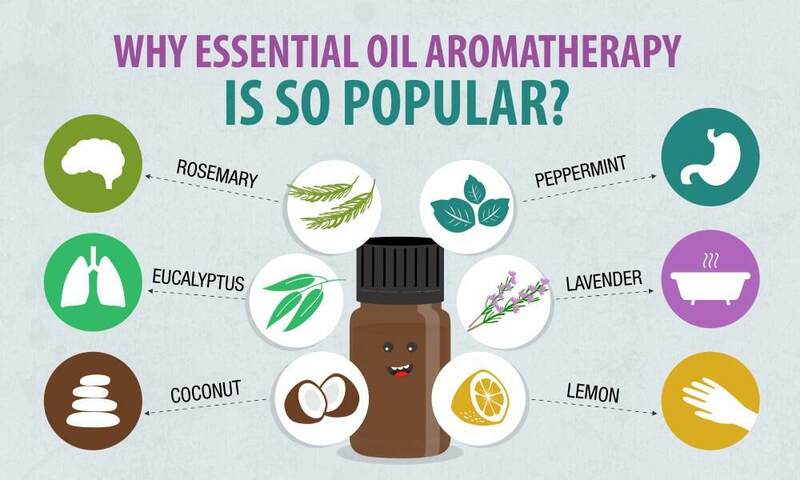 Which Essential Oils are Best for Aromatherapy? What is Eucalyptus Aromatherapy Good For? Eucalyptus is a well-known essential oil, used most often for treating respiratory problems. The oil is extracted from the leaves of Eucalyptus trees using a steam distillation process. Through aromatherapy, eucalyptus has been shown effective as a decongestant, as a topical muscle relaxant, and as an antiseptic. A few drops of eucalyptus oil to a warm foot bath relaxes tired feet. Professional massage and spa services can get expensive. Preparing your favorite essential oils at home may be a more cost-effective option for enjoying the benefits of aromatherapy. In fact, many people started out producing essential oils for their own use and turned it into a lucrative business. In order to gain the most benefit from using essential oils in aromatherapy, it is important the oils are truly natural and pure. Fragrances are not essential oils and do not hold the same types of benefits as the true essential oils do. Fragrances and other non-pure oils made with preservatives, and even chemical ingredients, are not high quality aromatherapy products and could be harmful to some people. Making essential oils of your home can provide the reassurance the oils are indeed natural and will be effective in treatments. There are several plants which involves easy extraction techniques for getting essential oils. Many plants, such as lavender, can be placed along with distilled water in a standard crock pot. The pot should be allowed to cook on low for 24 hours or more. Once the plant material has been heated, the crock pot should be allowed to sit still for a week. After a week’s time, the oil collected on the surface should be contained and stored in a dark-colored, glass container to protect its integrity. The container should be covered with a piece of cloth then left to sit for an additional week to allow any remaining water to evaporate away. Once the chosen extraction technique has been perfected, there are many ways in addition to aromatherapy in which the essential oils can be used. Bottling essential oils to be used as gifts for friends and family is a great way to always have a nice gift on hand for special occasions. Choose a unique-looking bottle you like to store your gift-giving oils and create labels to identify each product. Thanks for this amazingly comprehensive information. Aromatherapy has been used as alternative medicine since the 11th century and recent scientific studies have proven its health benefits. Aromatherapy with essential oils can speed up the healing process of the body, boost energy levels, reduce anxiety and provide a range of other health benefits. Great articles, these are questions I am asked all the time. I will be sharing with others.